Hope you are enjoying the My Little Pony Mega Mare-athon! Through Friday, tune into the Hub Network and enjoy plenty of action from those ponies! 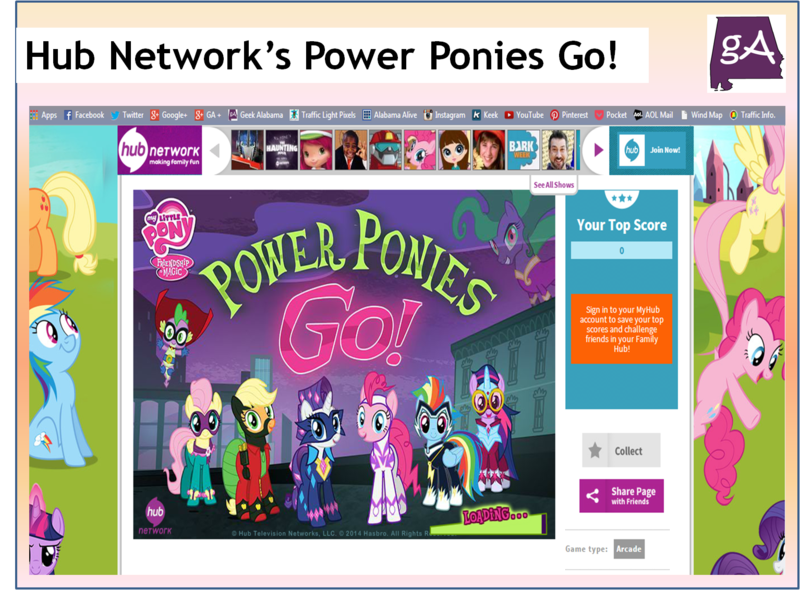 Since the Hub Network is celebrating ponies in this big event, you can enjoy a brand new game called Power Ponies Go! It’s a fun game that is quick and anyone can play it. In Power Ponies Go and this action-packed game, Spike and the Ponies have been transported to the comic-book city of Maretropolis. The Mane-iac has kidnapped Fluttershy and Pinkie Pie and is holding them hostage in the Shampoo Factory. Players use the masked crusaders’ amazing superpowers to save their friends before it is too late. The game is simple to play, you run around and collect comic book pages while using the ponies unique powers to stop the enemies in their tracks, temporary. You can collect things like double points, extra health, time bonus, and a special comic book cover to unlock a special power! I got a final score of 9184, not bad!